World Cup fever? Here are 5 apps to keep you on top of things. We’re only a day away from the first games, and the Internet is on the verge of a meltdown with World Cup news. With 32 teams, 10 stadiums and an entire month of play, how can you stay on top of it all? We’d like to introduce you to 5 applications that will tell you what you need, when you need it. Marca.com is a Spanish-written site that has an amazing web-based application. As you scroll around the outer circle, Marca.com will show you information related to whatever area you’re highlighting. 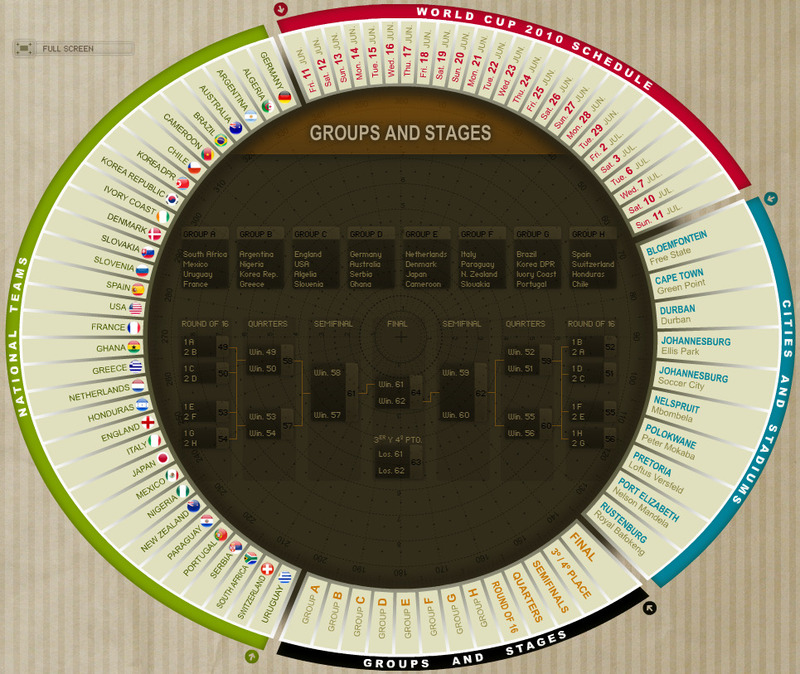 Want to know when Brazil plays? Just scroll over to find their schedule, as well as location. For the iPhone, ESPN has put out arguably the best application on the planet. 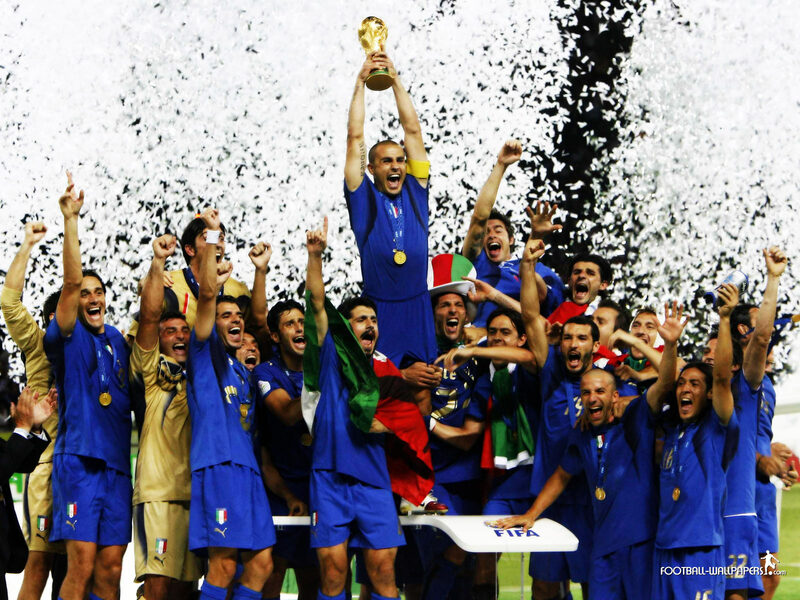 And it’s a good thing, too, because this isn’t called the World Cup for no reason. Worldwide, people are going insane over their favorite football clubs. The ESPN app has a countdown, some highlight videos and other sundry information at the moment. But once we get into the action, the app will go to work keeping tabs on games results, scores and up-to-the-minute stats. The basic app is free, but you can choose to upgrade to get live audio, in-game highlights, commentary and alerts for all 64 matches. Not forgetting the Android users of the world, the Associated Press is on top of the games with its FIFA 2010 application. The AP has been at every World Cup match since 1930, so chances are that they know what they’re doing. Given that this is the World Cup, the AP app is available in multiple languages. Further, you can set custom skins to show your FC pride. To top it off, you’ll get world-class AP coverage, both in video and images. This is the deal for Android users, bar none. Yes, Google. The world leader in search has caught the World Cup fever, as we first reported to you yesterday. 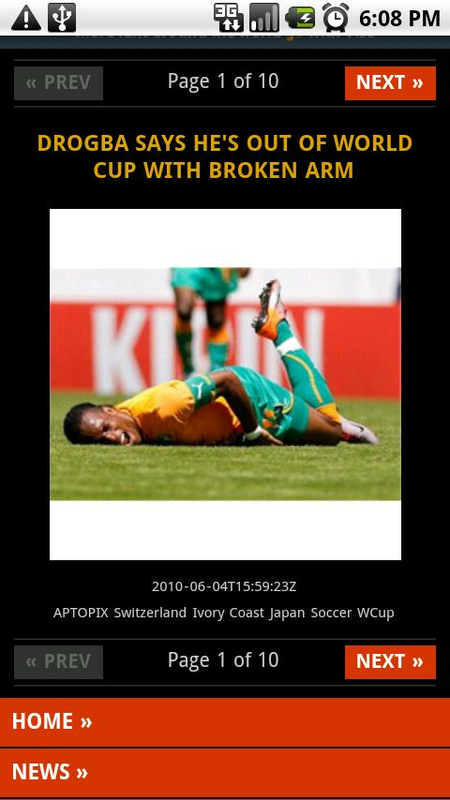 But if you Google for World Cup, you’ll find not only the typical results, but a few surprises as well. 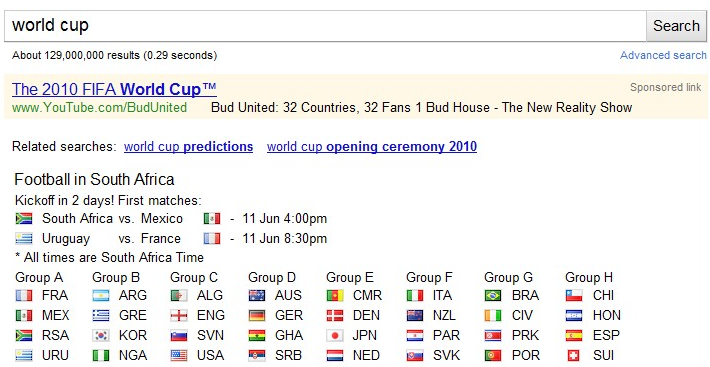 Google has gone a step ahead, and provided some lovely search-based tools to help you keep up with the games. For now, it’s limited to a calendar, but there are more features to be released as the games kick off on Friday. Blackberry users? We’re showing you some love too, to round out this top 5. ScoreMobile is available now in the Blackberry App World. 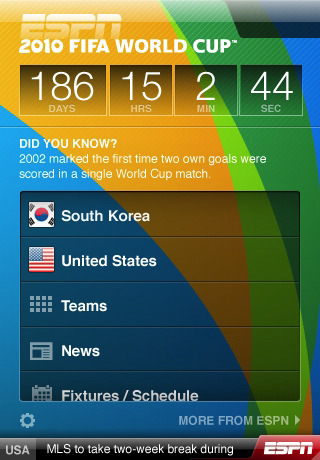 Though ScoreMobile isn’t specific to the World Cup, there’s still plenty of football info to be had. ScoreMobile allows you to customize with your favorite teams, and gives you options for refresh intervals. Further, ScoreMobile will keep up with your local time zone, to let you know when games start in your time. It’s another free app, and for sports fans of many genres, it’s a must-have.